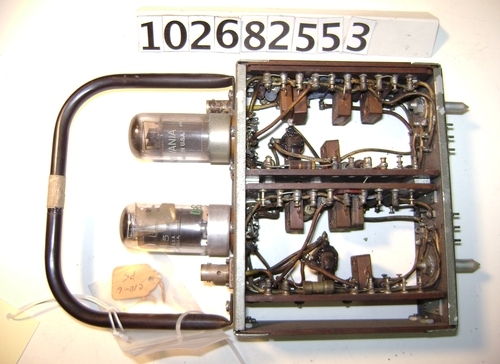 The object has two vacuum tubes in the module with a black handle. There is an old paper label attached by sting that reads "C10-6 P5". The object is a control pulse output.